Well, not really the CAMERA, but the battery! And it’s a reeeeeeeeeeeeeeeeeally OLD digital and the batteries are almost as much as a new camera! Told myself the last time I bought a new battery for it, that the NEXT TIME, I was buying a new one. ACK!!! I just HATE shopping for electronic stuff. TOO many options these days. Suggestions anyone???? I use my camera a LOT, probably 200 pictures a week! 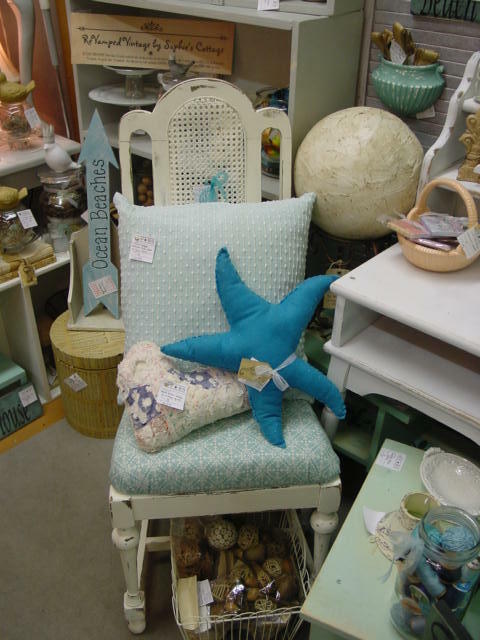 LOTS of new furniture in my booth at Stars this week! This little cutie is SO Paris chic! The big heart shaped bird-cage is new too. 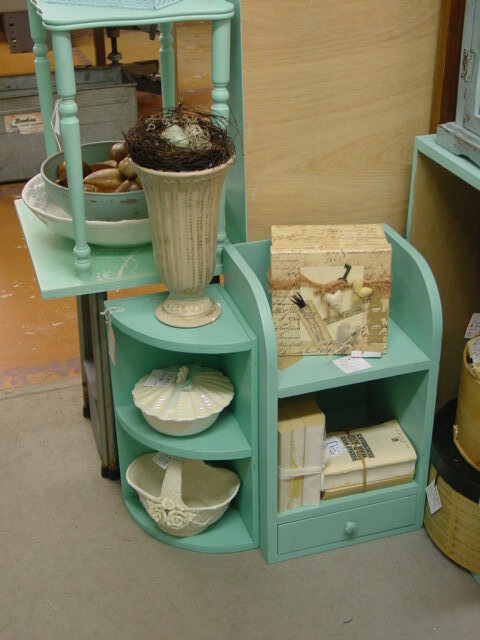 This vintage wicker shelf is a little bit ‘greener’ than my signature beachy blue paint. 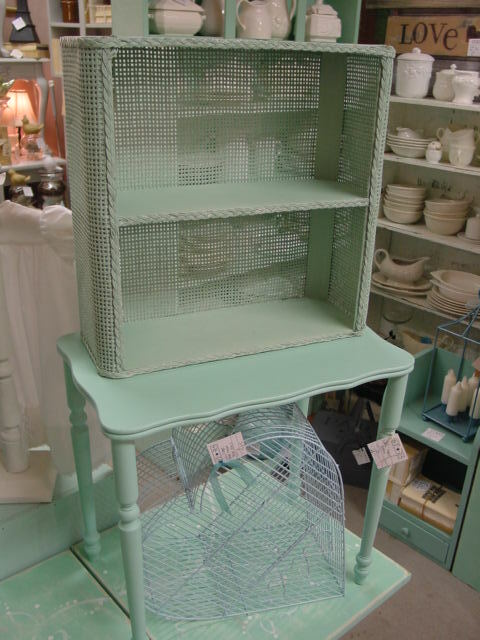 And the heart birdcage is bluer. But it still really ‘works together’. That’s what I love about this color. You really DON’T have to perfectly match it! 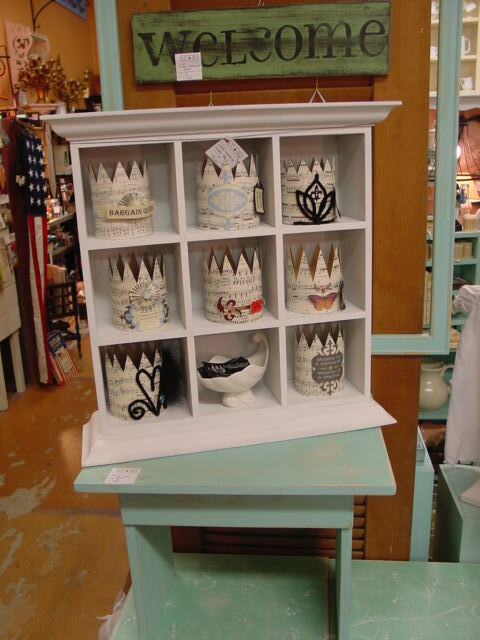 I moved this little cubby full of crowns over from my wall space. I’ve had these crowns in my booth for ages, (scattered here and there) and never sold a one. FINALLY got around to displaying them in a group and the ARE selling! 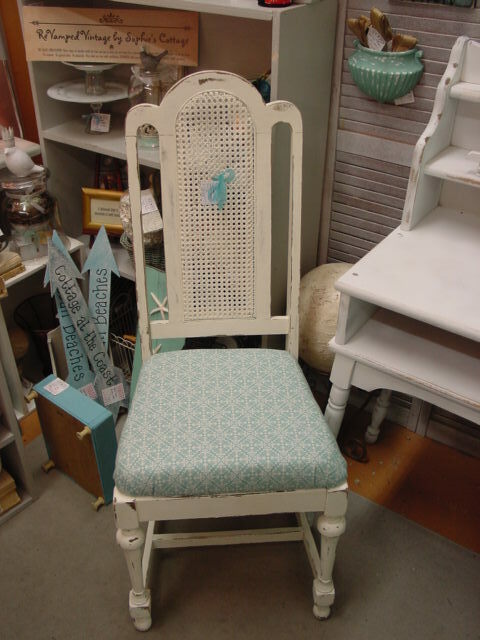 Vintage cane back chair with NEW cushion and seat. Some pillows on the chair. 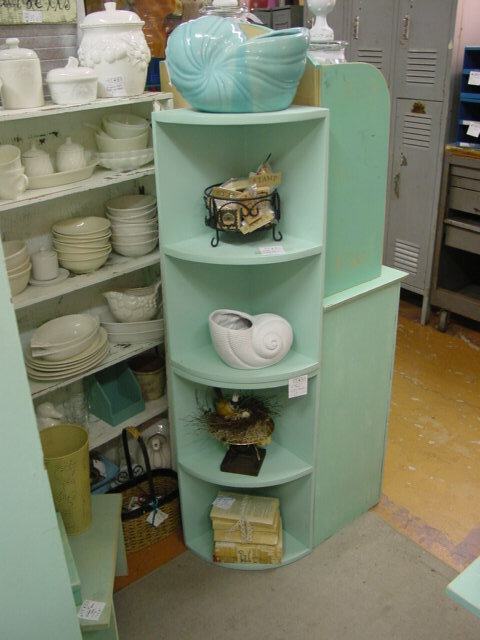 A couple of bigger (2 stacked on top of each other here) corner shelves. 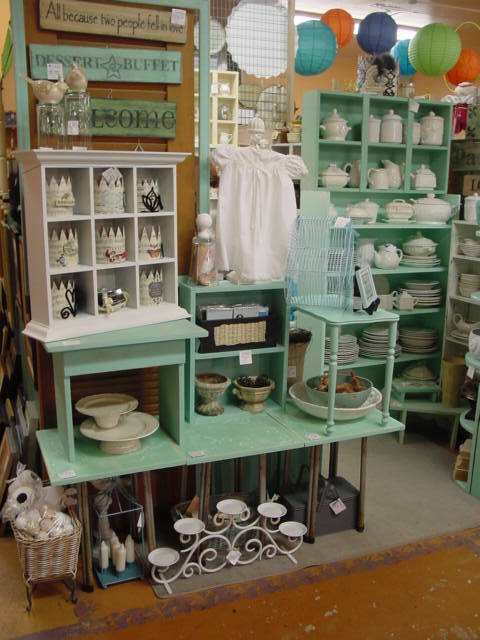 Smaller corner shelf and little shelf with drawer. 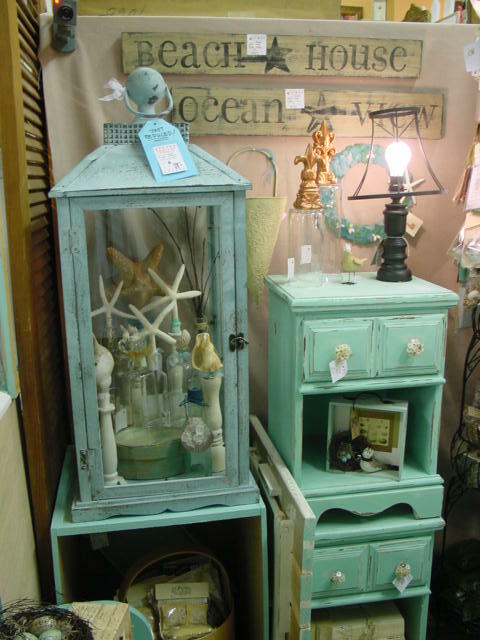 Just lowered the price of this GINORMOUS lantern to $119.00! (WAS $189.00!!) Originally I had 2 of these. This one and a smaller one. Really wanted to KEEP just as display pieces. 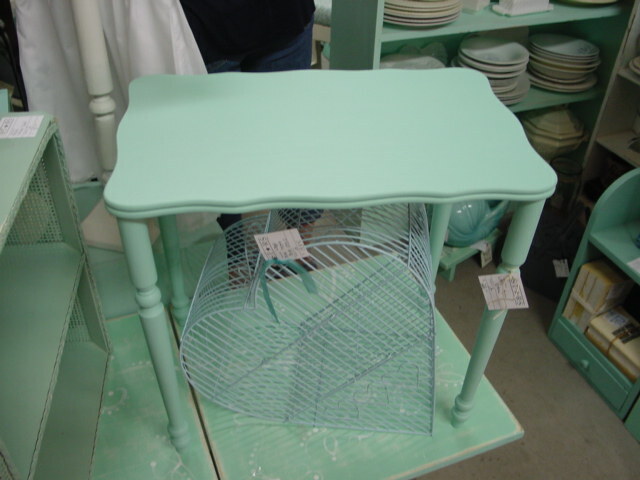 So many cute little vignette ideas for inside them. 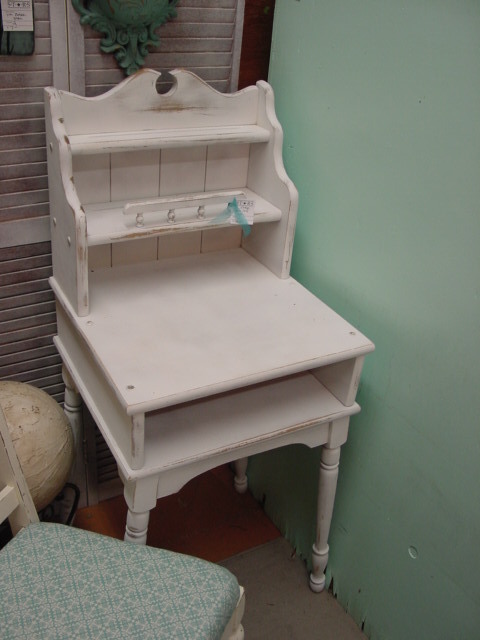 But the smaller one sold, and it’s just not the same with only one in the booth. But ONE is just right for a beautiful candle display in someone’s home! 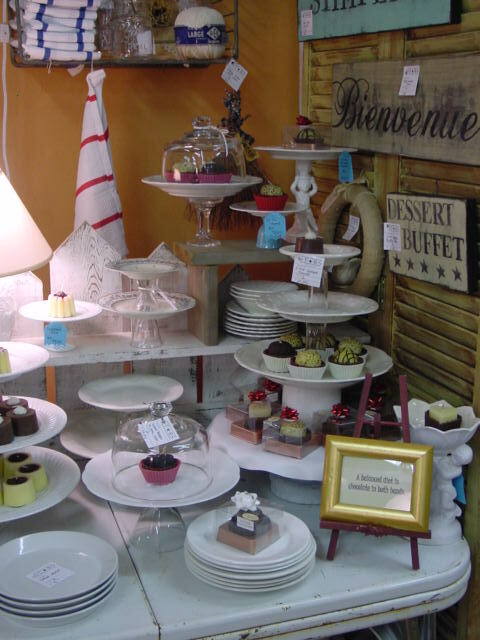 Moved the Dessert Buffet display over to my wall space. 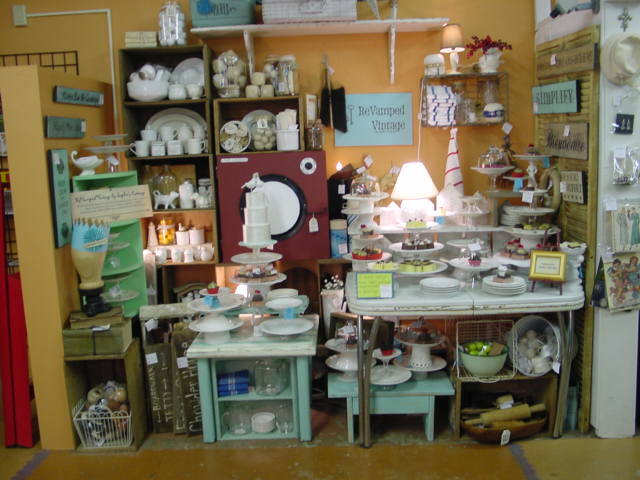 ALL kinds of cake/dessert pedestals! 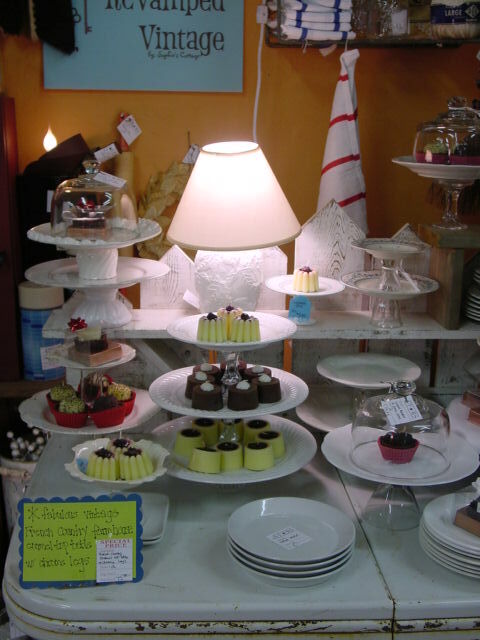 Single cake stands with cloche tops. 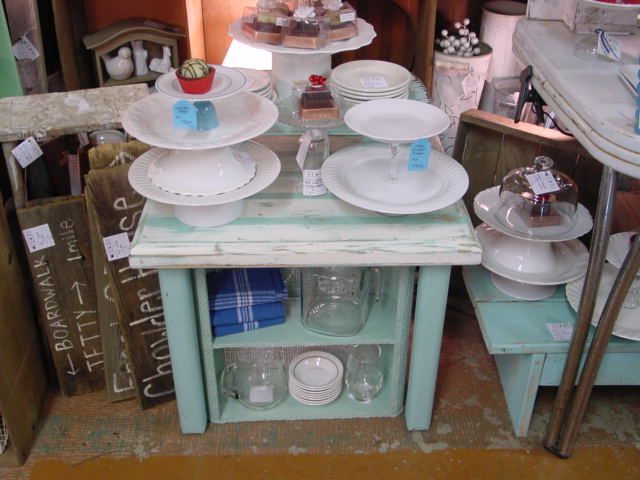 Two and three tier dessert stands too! 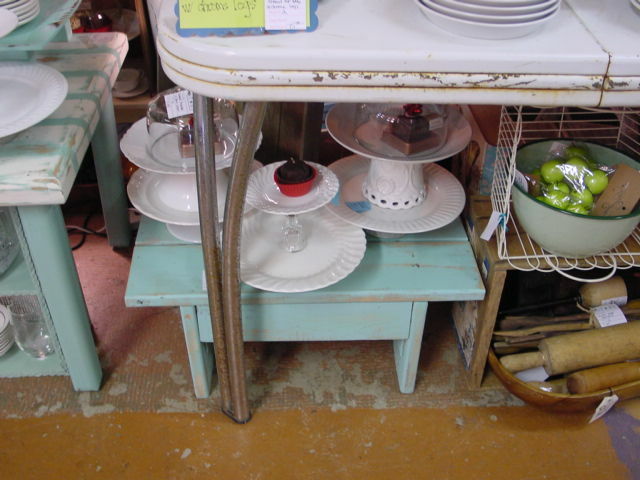 Lots of vintage small white dessert plates. And OF COURSE, a little faux wedding cake! (not for sale, sorry! 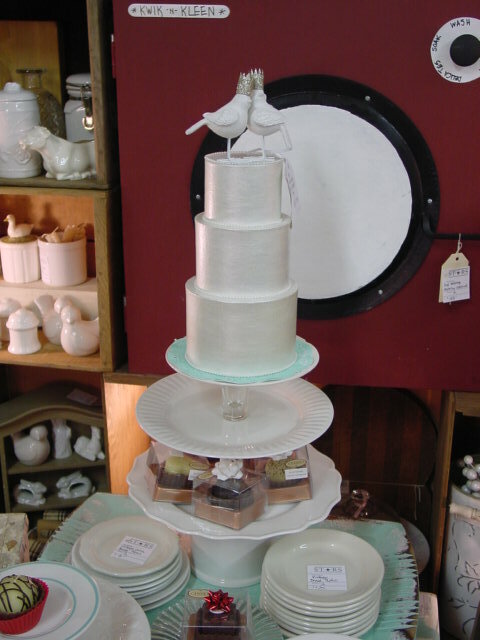 But the BIRD cake toppers ARE for sale in my etsy shop! For simplicity of use and batteries, the Kodak EasyShare can’t be beat, and takes really good pictures. I have several friends, one of whom is an insurance adjuster, who uses these and really bets on it. I personally have a Nikon Finepix, and have owned several different models and these are very user-friendly and have more options. Good luck! Love your pictures!! I normally use a Canon powershot A620 and have loved it, but it’s dying now. However it doesn’t do macro very well. I bought a Lumix professional camera but it is very big and bulky for every day shots. Maybe an Ixus, which I know others use could be the go for you.